A much-watched congressional race outside Pittsburgh may provide the perfect laboratory for studying how the Medicare changes proposed by GOP vice presidential pick Paul Ryan impact the political landscape this fall. The 12th District race between U.S. Rep. Mark Critz, D-Johnstown, and attorney Keith Rothfus, a Republican of Sewickley, is among the top targets nationwide for Republicans this year. The district, formerly represented by the late Democrat John Murtha, voted for Republican John McCain in 2008 and was redrawn by GOP mapmakers to be even more favorable for their party. The National Republican Congressional Committee’s largest initial television buy of the fall, launching Friday, will assail Mr. Critz here in the Pittsburgh market. The district is also home to the largest percentages of Medicare recipients in the entire country. The Critz campaign targeted Mr. Ryan’s proposal to issue future seniors private insurance vouchers as its lead attack point on Mr. Rothfus early this summer and with good reason: Westmoreland and Beaver counties have the highest per-capita participation in Medicare Advantage in the nation, according to July 2012 statistics from the Centers for Medicare & Medicaid Services, followed by Allegheny County at sixth and Cambria at ninth. The newly drawn congressional district goes from Beaver County through the North Hills and Westmoreland to Mr. Critz’s home base in Cambria and Somerset counties. The Critz campaign pounced on the Ryan announcement. It issued a statement at 8:11 a.m. Saturday morning, more than a half hour before presumed GOP presidential nominee Mitt Romney formally introduced his running mate. Not too long after, the NRCC issued a memo to its candidates advising them of what language to use when discussing Mr. Ryan’s Medicare proposals. Republicans are trying to turn the tables by noting President Barack Obama’s health overhaul cuts Medicare, too. The president’s measure cuts future growth in the $1.3 trillion annual program by reducing certain reimbursements for hospitals, prescription drugs and private insurers. But the proposal by Mr. Ryan, the head of the House budget committee, kept the same reimbursement efficiencies in the Obama plan while doing away with the rest of his signature health bill. He would plow the budget savings into allowing seniors, starting in a decade, either to keep traditional Medicare or obtain vouchers, which he argues would allow the private market to hold down insurance costs. In a finding often touted by Democrats, the nonpartisan Congressional Budget Office said the change could increase seniors’ out-of-pocket costs by $6,350 annually. “Medicare would be unrecognizable by 2022. Romney and Ryan would radically transform the program by giving seniors a voucher to buy health care coverage from a private insurance company or traditional Medicare,” said a memo that the Obama campaign’s Pennsylvania policy director, Sam Cornale, issued Tuesday. 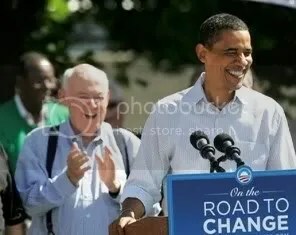 “Liberal Congressman Mark Critz has chosen to once-and-for-all align himself with President Obama in his fight to keep his political position and has elected to make his campaign solely driven by the same unfounded scare tactics used by President Obama — two career politicians, two desperate attempts to distract and deceive,” Mr. Rothfus said in a statement. 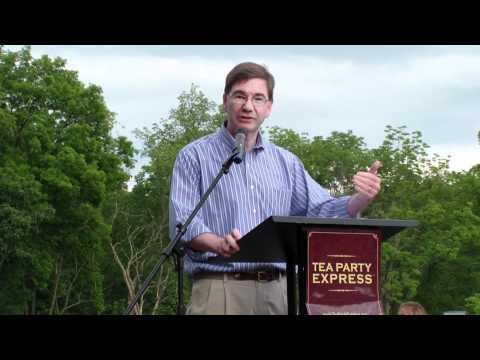 The Critz team hit back by aligning Mr. Rothfus with the GOP establishment. Democratic opposition research on Mr. Rothfus includes a Facebook post he made in April 2011 on poll results showing seniors supported Mr. Ryan’s budget plan. “Appears that senior citizens understand that Paul Ryan’s plan offers a better way to save Medicare than Obama’s,” Mr. Rothfus wrote. Mr. Rothfus lost District 4 in 2010 to U.S. Rep. Jason Altmire, D-McCandless, by 1.6 percentage points.